Christopher Guest, Michael McKean, and Harry Shearer are getting the band back together for the 35th anniversary of This is Spinal Tap. The 2019 Tribeca Film Festival is set to hold special screenings for the iconic mockumentary as well the 25th anniversary of Reality Bites, which will also feature a reunion of the cast. The annual festival takes place April 24th through May 5th, 2019, and this year is looking to be a pretty memorable one to celebrate the festival's 18th anniversary as well. The Spinal Tap reunion is being billed a one-night-only event in which Christopher Guest, Michael McKean, and Harry Shearer will perform as themselves to pay tribute to This is Spinal Tap. It's kind of a bummer that they won't be appearing as Nigel Tufnel, David St. Hubbins and Derek Smalls, but they'll make up for it when they sit down with director Rob Reiner to discuss the legendary comedy and its long-lasting legacy. Reiner says, "Spinal Tap proves there is definitely a fine line between stupid and clever," when talking about the upcoming reunion. It's not clear who will be sitting in on drums for the band. The 25th anniversary of Ben Stiller's Reality Bites is another reason to get excited for the 2019 Tribeca Film Festival. Winona Ryder, Ethan Hawke, Janeane Garofalo, Steve Zahn, and Stiller will all reunite to look back at the Generation X classic. Stiller is very much looking forward to the experience and teased fans about the ending of the movie. He had this to say. "Reality Bites was a formative experience in my life. To have a 25 year anniversary screening is very exciting. Looking forward to seeing the whole cast, and possibly changing the ending so Michael gets Lelaina." 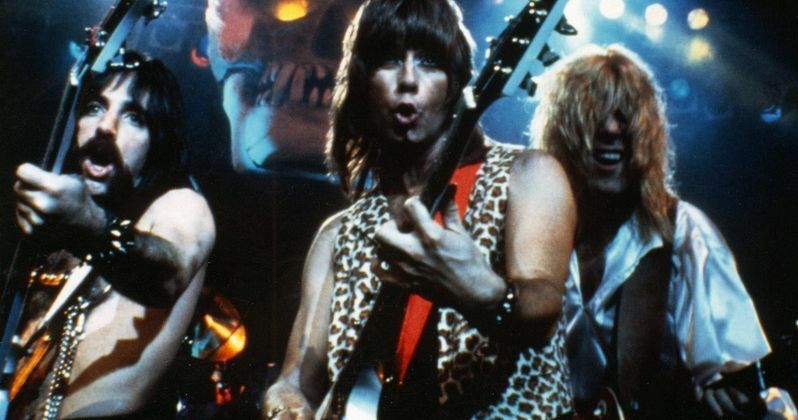 Both This is Spinal Tap and Reality Bites are heavily focused on music, which is why they were chosen to screen at the Tribeca Film Festival. Each movie takes place during a different era and helps to show what was going on at that specific point in time. Paula Weinstein, EVP of Tribeca Enterprises explains. "From the heavy metal bands of the '80s to Generation X in the early '90s, This Is Spinal Tap and Reality Bites didn't just capture the spirit of their respective times - they helped define them. We're excited to bring these two films back to the big screen for existing fans and also to introduce them to new audiences." This is Spinal Tap premiered in 1984 and was a hit with audiences and critics, though some actually believed that the band was real. The mockumentary has been included in the Library of Congress for being "culturally, historically, or aesthetically significant." Additionally, the movie is tailor-made for anybody who has ever played in a band, even if it was just for a moment. Rob Reiner, Christopher Guest, Michael McKean, and Harry Shearer really nailed the experience, so much so that real rock bands claiming that the stories were based off of their real-life experiences. This Spinal Tap reunion news was first reported by Deadline.